We have received and given out many referrals this year and in the past. We have worked with Realtors from Orange County, Miami Florida, Los Angeles, San Diego and all across the country doing Real Estate referrals. 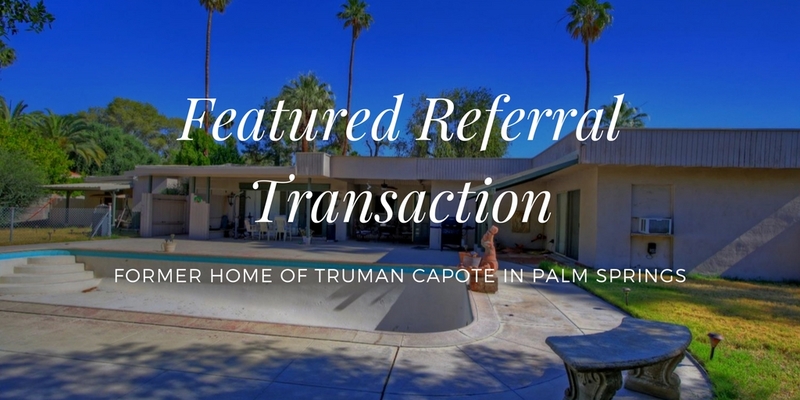 Realtors, do you have clients buying or selling in Coachella Valley (Palm Springs Area)? 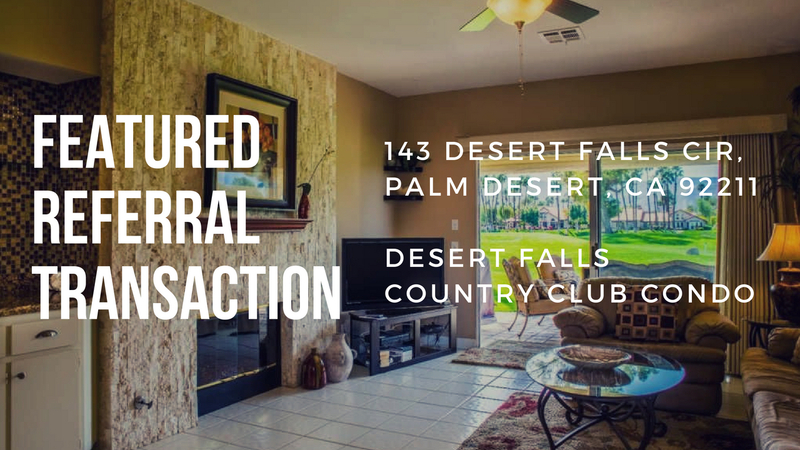 Refer your clients to Keller Williams Realty - Palm Springs - Team Michael. Your referrals are the heart and soul of our business. We consider it a privilege to work with your clients and handle them with the best of care. You can be sure your client’s transaction will be handled professionally and your clients’ needs will be met. 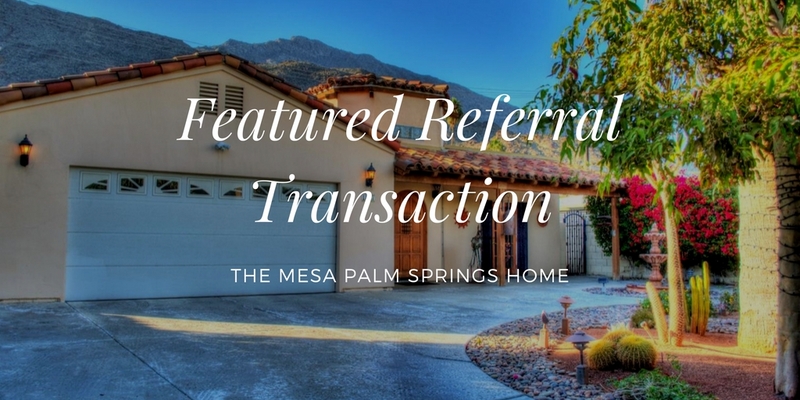 You will receive a Realtor Referral Fee immediately after closing thorough Escrow. Your client will be serviced by full-time, experienced real estate professionals. If you would like to discuss a Real Estate referrals, please call 760-770-1555 or send us an Email to TeamMichaelOffice@gmail.com. Thank you for your trust, and we look forward to working with you!